Sue and I have already lead three epic retreats together and we look forward to many more adventures in the future. Our next getaway is to Stowel Lake Farm, on Salt Spring Is, May 1-4th. Of course, all good things start with love and kindness, and that’s how Emily and Sue founded Unity Retreats. Back in 2007 when our story began, these two aspiring yogis were on a mission to bring yoga to the cultural hub of East Vancouver’s trendy and vibrant Commercial Drive. Offering public classes from a little house on the Drive called Unity Yoga, Emily and Sue planted seeds of intention, watered them with kindness and love, and watched them grow into a stable garden of community connections and friendships. Now all of our classes and retreats are created with awareness to support you in your practice. Accessible to everyone, we honour the many styles, traditions and philosophies of yoga and hold space for healing at all levels. Preventative wellness is our core theme, whether it comes in the form of proper hydration and nutrition or the simplicity of silent meditation. We believe that life can be enriched by connecting with nature and one another, and aim to teach simple movement, breathing, and mindfulness practices can help you live a happier and healthier life! Sustainability for our planet and finding natural harmony with the earth is a value that we honour through action. Balancing our consumption with our capacity to renew and replenish is deeply rooted in our hearts intentions. We believe that while it is human nature to change, we can grow without creating harmful or toxic by-products along the way. 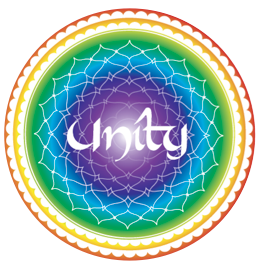 At Unity Retreats, we hope to offer you the most sustainable and eco-friendly opportunities to expand to your highest potential. Healing and recovery is a fundamental value at our retreats. We know that you need time to rest, time to breathe, time to simply BE. We encourage you to come for the full retreat, which contains a natural flow of activity but understand if you can only afford a shorter time, or need to take time to yourself away from the group. We allow plenty of room for you to experience what it is you are looking for, and this is as unique as each individual who joins us. You can be sure that our retreats are prepared with integrity to provide you a unique opportunity for transformation, in sacred space settled within pristine surroundings. Emily and Sue welcome you to participate in a special story that is different each and every time.